TBF(I) has appointed Andrew Frawley of Australia as National Coach and he has been great help for the players. 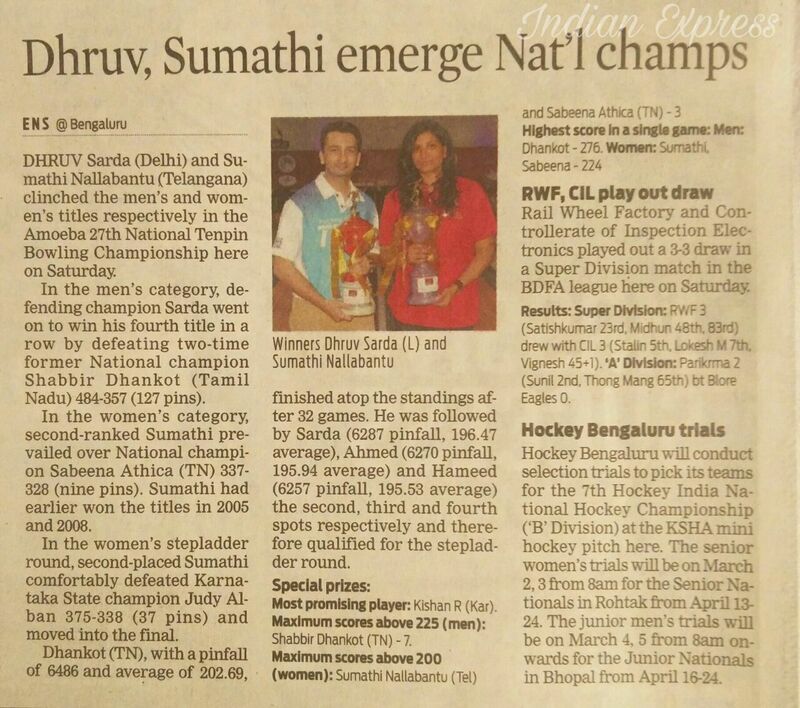 Here are his views on future of Indian Bowling as expressed to an interview to R Satya from Times of India. 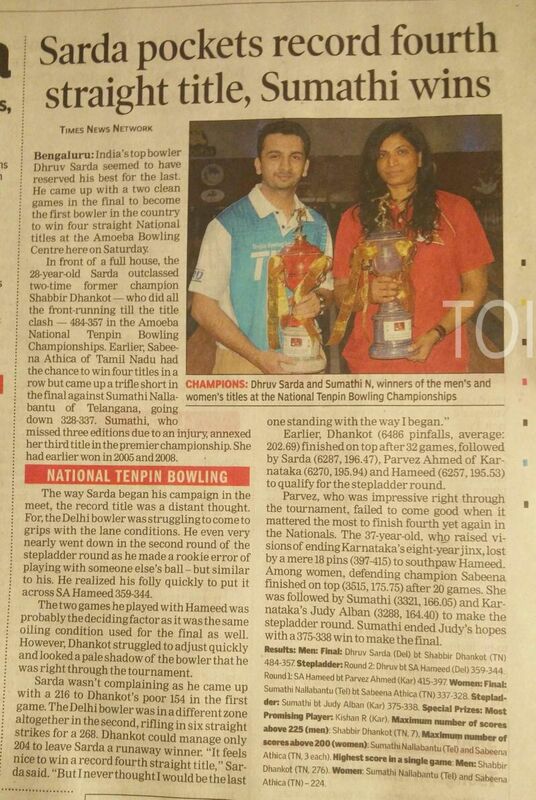 TBF(I) is thankful to media fraternity for all the support given not only during the 27th National Tenpin Bowling Championship but also for the coverage provided for promotion of Tenpin Bowling as sport in the country. 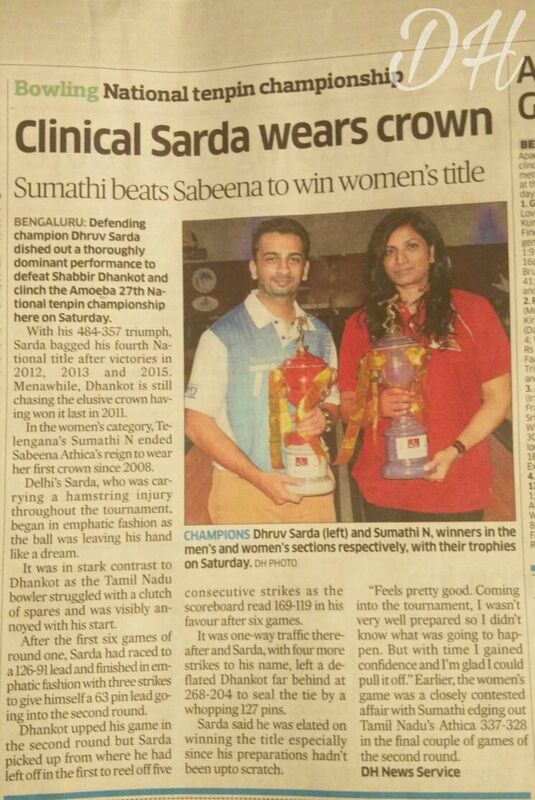 Here are the press clippings of final day's coverage by Print Media. 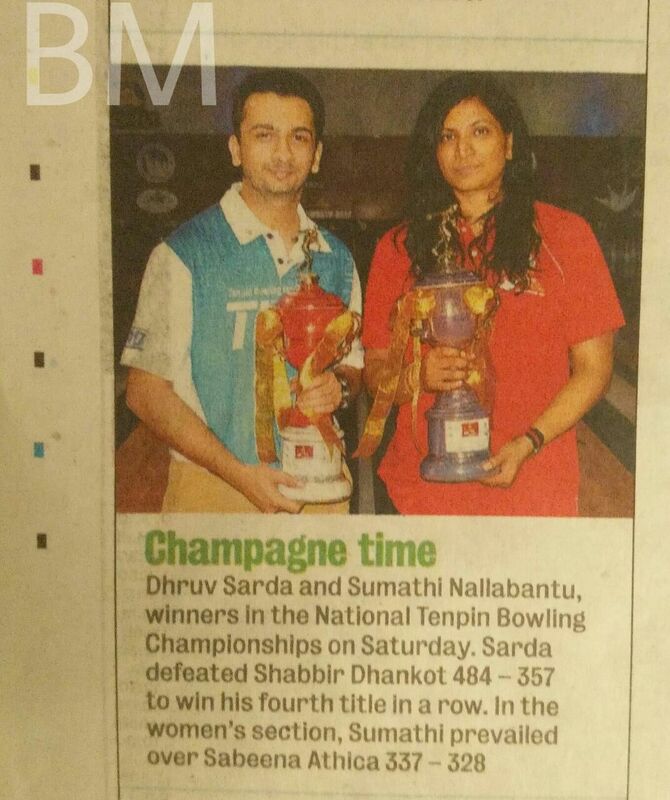 Thank you all the members of journalistic fraternity for recognizing this historic achievement of our young bowlers. 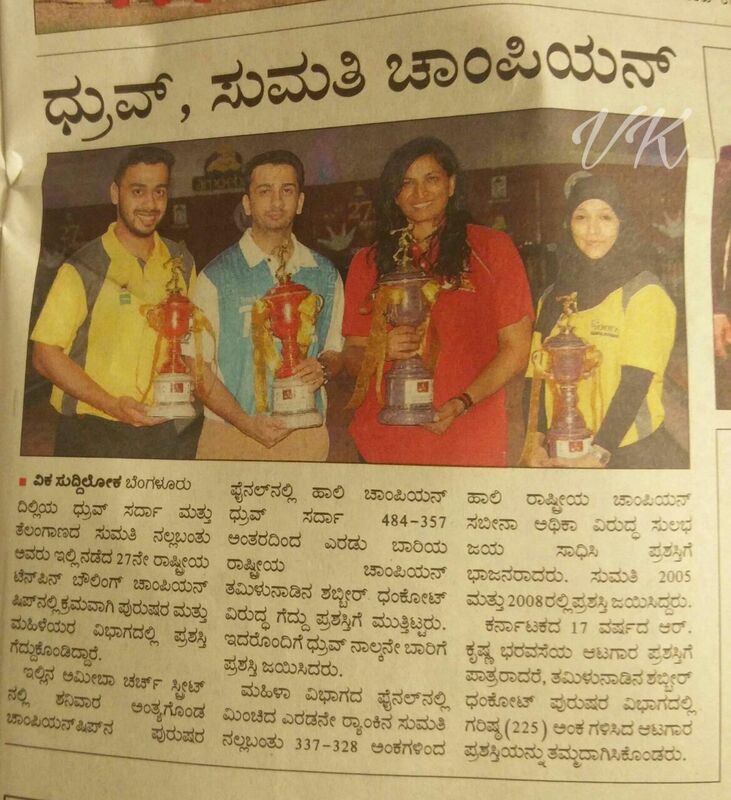 Shaik Abdul Hameed's emphatic victory, beating Mahamood Al Attar of UAE 242-183 in the final, was well covered in the Indian Media. 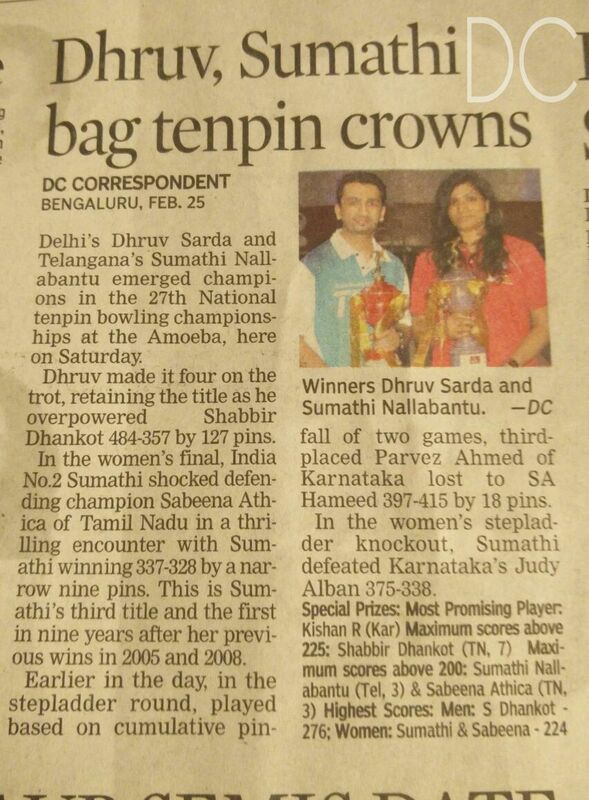 Thanks to all the sports journalist of the country in recognizing the hard work and achievement of Indian Tenpin Bowling fraternity. 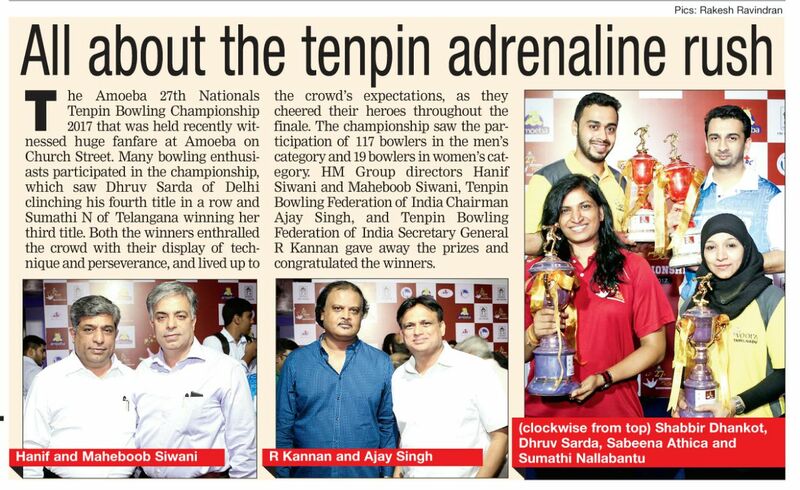 TBF(I) organized the inaugral Junior National Tenpin Bowling Championship for bowlers under 21 years of age in September 2011. 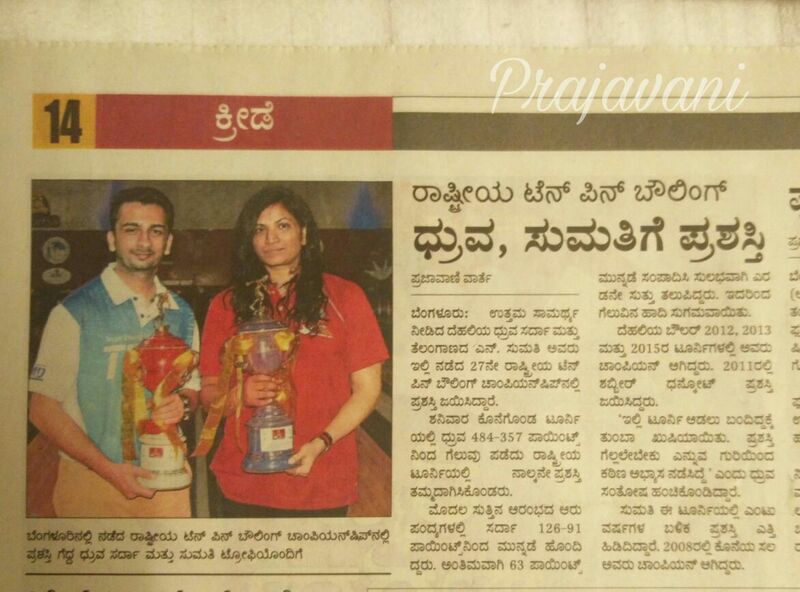 We would like to thank the media for giving encouraging coverage for the event. We are thankfull to all the sports journalist for taking note of Team India's achievement and providing fitting coverage for athlete's effort.